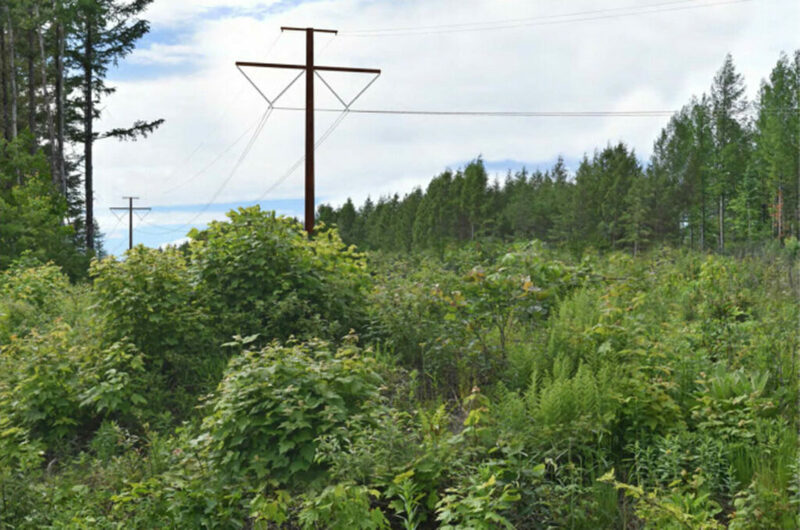 The proposed transmission line would hurt the very thing that makes Maine special. Central Maine Power’s plan to bring power through Maine from Quebec to complete a plan out of Massachusetts is an environmental disaster. I can’t believe that anyone who loves Maine could think this is a good project. I know some supporters of the project think we are getting quite a few benefits, from temporary jobs to assistance in convincing more Mainers to purchase electric cars. I disagree. Personally, I think electric cars are going to be a tough sell in Maine, because their batteries do not work well in the winter’s cold weather. And I love Maine too much to sell out our environment for any amount of money or benefits. What do we love about Maine? For me, it’s the woods, brooks, streams, ponds and lakes. It’s hills and mountains, and rural Maine towns. It’s fish and wildlife from native brook trout to deer, moose and bears. And yes, I love the coast as well, particularly Down East in Lubec and Cutler, where much of the ocean side is undeveloped and available for hiking and enjoyment by anyone. Please note, it’s the undeveloped land and woods and the wonderful habitat for fish and wildlife that I think is our most valuable asset. Why would we want to allow a Spanish company to wreck its way through some of our finest woods and waters, hills and mountains, and rural towns, displacing everything from moose to brook trout, and ruining Maine, the way life should be? Maine’s Department of Inland Fisheries & Wildlife expressed strong concerns and objections to the proposal, but their concerns have been ignored. The department reported that the line will go through several important deer-wintering areas, which are critical in protecting deer during our snowy and cold winters. IF&W also expressed strong concerns about the project’s impacts on streams and fish. I have worked for decades to recognize and protect our native brook trout, and CMP’s project would be disastrous for them. “Maintaining adequate buffers along coldwater streams is critical to protection of water temperatures (and) water quality,” I&FW testified. And I haven’t mentioned other concerns, including impacts on vernal pools, endangered wildlife, rare ecosystems and plants. And of course, this project will drive many tourists out of western Maine, another cruel blow to sporting camps, guides and rural Maine businesses and towns. Tourism is our most important economic driver. The CMP line and promised benefits will do nothing to save that area from losing tourists. New Hampshire rejected this proposal because of overstated economic benefits and underestimated environmental risks. They understood that the line would severely harm their beautiful White Mountains. Why would Maine find any of this acceptable? Do we think the area CMP is going through is less beautiful and important than the White Mountains? I’m not surprised the Public Utilities Commission, which doesn’t care about the damage this project will do to western Maine, approved the project. But the project will also need approval of the Department of Environmental Protection. Yes, their focus must be on environmental protection. And if it is, then there is no way the DEP can approve this environmental disaster. The Legislature also is considering important bills on this issue. One proposal from Rep. Seth Berry, D-Bowdoinham, would make every community that the corridor is set to pass through approve it at referendum before it is approved. Another bill, from Sen. Brownie Carson, D-Harpswell, would require an emissions study before permitting processes end. Brownie’s bill is especially importan, because it will expose the negative impacts the CMP project will have on climate change. One tree can absorb as much carbon in a year as a car produces while driving 26,000 miles. Over the course its life, a single tree can absorb one ton of carbon dioxide. So if 55 miles of the corridor is 150 wide and the rest is 75 feet wide, the trees cut (400 stems per acre) would have held 800,000 car carbon emissions. And I haven’t even mentioned the increased oxidation because of the changes to the soil. The Natural Resources Council of Maine poll found 62 percent support for the concept in Berry’s bill and 65 percent for the one in Carson’s bill. Both bills have bipartisan groups of sponsors including Republicans from Franklin and Somerset counties. It is my hope that the Legislature, by strong margins, will enact both bills. Every one of you can help by contacting your legislators to encourage them to vote for those two bills, and by writing letters to the paper opposing the project. I think it will take all of us to stop this very damaging project. Yes, our friends in rural western Maine need our help and support. Please step up to help them today.